Array. En fait, le livre a 1288 pages. The Pediatric Primary Care (Burns, Pediatric Primary Care) est libéré par la fabrication de Saunders. Vous pouvez consulter en ligne avec Pediatric Primary Care (Burns, Pediatric Primary Care) étape facile. Toutefois, si vous désirez garder pour ordinateur portable, vous pouvez Pediatric Primary Care (Burns, Pediatric Primary Care) sauver maintenant. 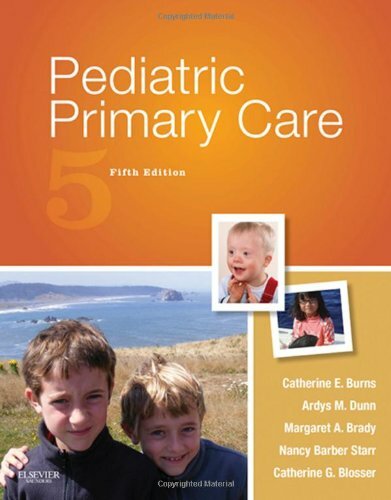 Covering the full spectrum of health conditions seen in the primary care of children, Pediatric Primary Care, 5th Edition emphasizes both prevention and management from the unique perspective of the Nurse Practitioner. Written by an expert editor/contributor team, it provides in-depth, evidence-based guidance for assessing and managing health problems in children from infancy through adolescence. Other key topics include developmental theory, the health status of children today, issues of daily living, and cultural considerations. Four-part organization includes an introductory unit, plus units on child development, the health management of children, and diseases and disorders common to childhood. UNIQUE! Functional health patterns framework in Unit Three provides a lens for discussing health promotion through the various components of healthy living. UNIQUE! ICD framework in Unit Four addresses the classification used to code diseases in both hospital and outpatient settings. UNIQUE! Practice management chapter provides need-to-know information on managing a private healthcare practice, including issues of productivity, compliance with applicable laws, quality-of-care indicators, and successful business practices. UNIQUE! Environmental health chapter offers evidence-based content on the effects of environmental toxicants, such as tobacco smoke, heavy metals, and air pollutants. An 8-page color insert presents over 40 photos that visually demonstrate key assessment findings for ear, skin, and other conditions. NEW! Pediatric Pain Management chapter addresses the increased recognition of pain as the "fifth vital sign" with expanded coverage of acute and chronic pain management in children. Extensively revised and updated genetics chapter presents a new paradigm for addressing genetic considerations in clinical practice, including an introduction to epigenetics. Increased emphasis on health disparities explores the growing health disparities among children in the U.S and worldwide and provides strategies to help patients and parents gain accessibility to health care resources. NEW! Content on implementing a "medical home" explores the trend toward family-centered coordinated health care and fosters appropriate treatment for children with chronic disease. NEW! Updated coverage takes a more global approach, exploring the health status of children outside the U.S. Expanded imaging content offers valuable guidance on using various imaging modalities, including how to prepare the child for diagnostics.